The Dodington beacon at Shireway Community Centre will be lit at 7:00pm on Sunday 11th November to mark 100 years since the end of World War 1. 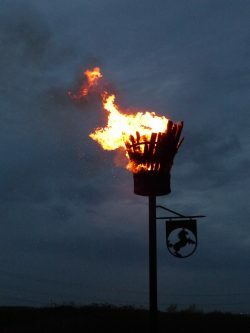 There will be a short event at 6:30pm prior to the lighting of the beacon. All are welcome to attend. Please dress for outdoors. Further details can be found here.